Suprarenal glands are located on the superior pole of each kidney. Each gland has two distinct developmental origins that divide it into two regions. The catecholamine secreting medulla is derived from the neural crest and is made of chromaffin cells. 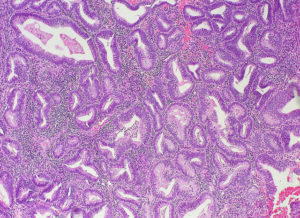 The cortex is derived from the mesoderm and it consists of three layers: the catecholamine secreting zona glomerulosa, cortisol secreting zona fasciculata and the zona reticularis that secretes androgens.There are many common pathologies that can present, e.g., adrenal hypo-plasia, hyperplasia and adrenal tumors specific to each region.